Walter Gloshinski (58), the owner of Smiling With Hope, decided to move to Reno and open the second NY style pizzeria in the city. As Walter Gloshinski, the owner, greets me, I see him grimace with each step he takes. Walter is a retired special education teacher and his wife Judy is a school counselor. Two decades ago he realized that his students with disabilities needed more than what a classroom setting could offer. “We started making brownies and bowls by hand and selling them. And we made money. And they were happy,” he says. “They had to count money, they had to do measurement, they had to read recipes." This pizzeria and baking program was inserted in several schools and universities where Walter worked in California, Texas and Ohio. But he often disagreed with school officials. So when they moved to Reno last year, they wanted to try this idea in the private sector. In Reno, the couple has partnered with the Nevada Department of Employment, Training and Rehabilitation. The pizzeria is one of the many certified sites in town that offers training experience in a real business for people with disabilities. After 80 hours, if all goes well, Judy says they can offer them a job. That includes Melyssa Erins, who was born with down syndrome and didn’t work until the age of 37. Now, she greets customers and helps to serve the tables. Melyssa moves among the tables that are covered with green, white and red plaid tablecloths, colors that represent a background that Walter talks about with pride. The big old silver oven, is from 1968 and as Walter says, is one of many secrets to making the perfect pizza. The ingredients are all fresh, and imported from different parts of the country. No cellphones, alcohol or music is allowed inside the pizzeria. Walter says he wants to encourage people to interact with each other and have a good time. The pizzeria has been open for only four months but Walter says they hit the jackpot when it comes to community support. “Hi can I have a pizza for Karen? Oh my god, smells so good in here." This is Karen Harrenty. She says Smiling With Hope is her new place to go to. Between the craziness of customers coming in and out, and pizzas to serve, the back of the kitchen is also quite busy. Emma is their first employee through the state program. She dips a yellow thermometer inside three different sinks that are filled with water. Chef Mark Granucci and Walter cooking. Mark is a Chef at the The Prospector’s Club at the Eldorado Casino, but he volunteers at the pizzeria a few days during the week. She says clean dishes requires a perfect temperature. Like Melyssa, this is also Emma’s first job. And she’s thankful. Walter and Judy hope they can turn Smiling With Hope into a non-profit one day. Their goal is to reach to more people with special needs in different ways. Eventually, they want to expand to the building next door by opening a bakery, and maybe even an art studio. 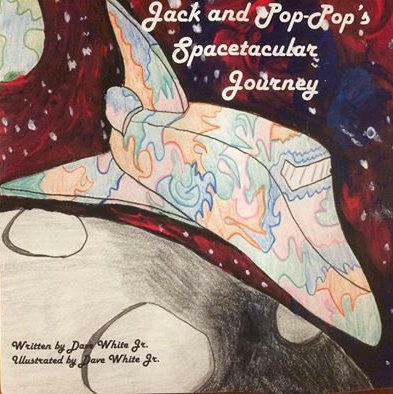 Dave White, a junior studying special education at the University of Nevada, Reno, has just published his first book. It’s a story for children about overcoming obstacles, something Dave has done in his own life. Our contributor Luiza Vieira has this profile. For this week’s Health Watch segment, we join Susan Hill from the University of Nevada School of Medicine (UNSOM) to learn more about a training program called LEND. It's for professionals and families working with children who have autism or other neurodevelopmental disabilities. Susan spoke with Associate Professor Dr. Debra Vigil as well as Diane Thorkildson, both with the Department of Speech Pathology and Audiology for the School of Medicine. Artown hosts the Biggest Little Music Festival this Sunday at Wingfield Park in downtown Reno, a day-long concert series with musicians of all ages and abilities. Longtime performing group The Note-Ables will be appearing for their third year. Reno Public Radio’s Julia Ritchey introduces us to one of the band’s star members. At a gig earlier this week in Sparks, The Note-Ables played the opening bars to the popular bluegrass standard “Wagon Wheel” as singer Tony Martin tapped his foot ready to belt the first few lines.